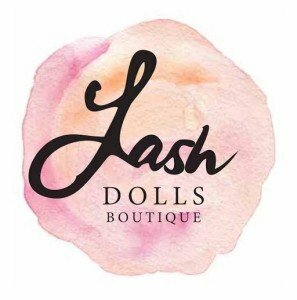 Lash Dolls Boutique (“us”, “we”, or “our”) operates the http://www.lashdolls.com.au website (the “Service”). Like many companies, we may use common technologies to help track your use of our Services, recognize you when you return to the Services, or save your preferences. For example, on our websites, we may store small pieces of information in cookies that help us remember you when you return to our website. We also may include web beacons in e-mail messages or newsletters to determine whether messages have been opened and to identify the IP address of the computer on which they were opened. The information we obtain in this manner helps us customize the services we offer and measure the overall effectiveness of our online content and the products and services we offer. Web beacons also allow third parties to obtain information such as the IP address of the computer that downloaded the page on which the beacon appears, the URL of the page on which the beacon appears, the time the page containing the beacon was viewed, the type of browser used to view the page, and the information in cookies set by the third party. Contact Us. We may use personal information about you to respond to your questions and comments when you communicate with us through links or pages provided by the Services. Shopping. If you purchase through the Services, we will use personal information about you to process your purchase, confirm your order, and deliver the items to you. Email Newsletters and Promotions. 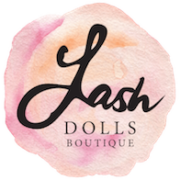 With or without your permission, we may use personal information about you to send you newsletters, exclusive offers and promotions, and product news through email. We also may use personal information about you to administer our promotions. Feedback. We may use information you provide to us, regarding our products and services, to provide product feedback to our customers through the Services. Service Providers — We may share your personal information with service providers that perform certain functions or services on our behalf (such as to host websites, manage databases, perform analyses, send communications for us, process payments on our behalf, ship your orders, provide you with live chat service, or provide certain other components of websites). We do not authorize service providers to use or disclose the information, except as necessary to perform services on our behalf. Analytics — We may allow third parties to collect information in order to provide us with analytics. For instance, the Services may use analytics tools provided by Google to help us understand how people use the Services. Legal Process — We may disclose your personal information to respond to subpoenas, court orders, or other legal process in response to a request for cooperation from law enforcement or another government agency, and to comply with our other legal obligations. Transactions — We may share personal information in connection with a corporate transaction, such as a sale, assignment, divestiture, merger, bankruptcy, consolidation, reorganization, liquidation, or other transfer of the business or its assets.